Published on July 19, 2010 in Other Beers. 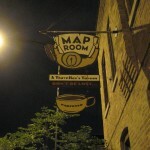 1 Comment Tags: beer, chicago, goose island, map room, piece. 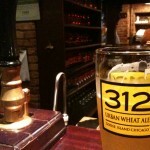 Last week I had the good fortune to visit Chicago for work and was able to venture out and sample some local beers. 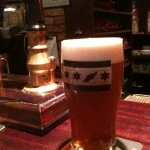 I arrived late Sunday night and had a Two Brothers Domaine DuPage, a deliciously carmel amber ale with my dinner. But it was late so I settled for that introduction. 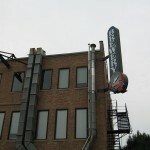 The next day after the conference events had worn down, I wandered north to the Goose Island Brewery on Clybourn for dinner. 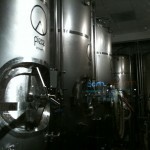 The restaurant/pub/brewery was quite nice, and being alone, I sidled up to the bar. I had to sidle because after 2.5 miles in sandles, blisters were forming. 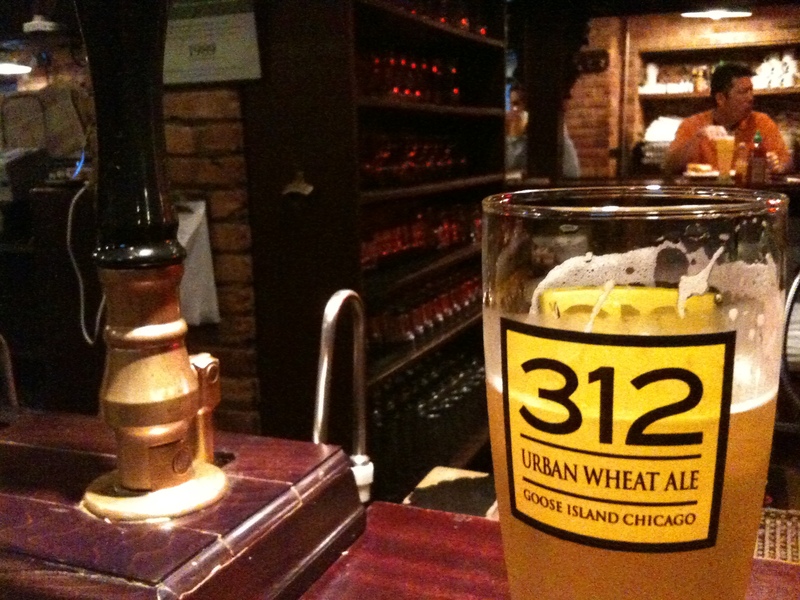 I was rather sweaty (it’s the midwest), so I ordered the 312, a refreshingly light wheat beer that helped bring me back down to a healthy temperature. 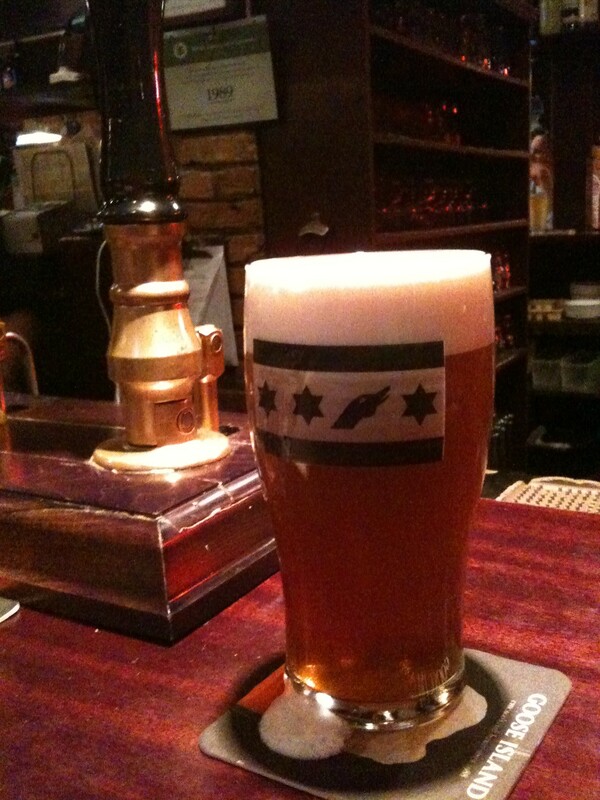 I ordered the pulled pork and when it arrived 45 minutes later, I’d started a cask IPA. The bartender was sorry about the delay, so he bought my IPA. No complaints at all, with the mellow and satisfying pour or the sandwich. 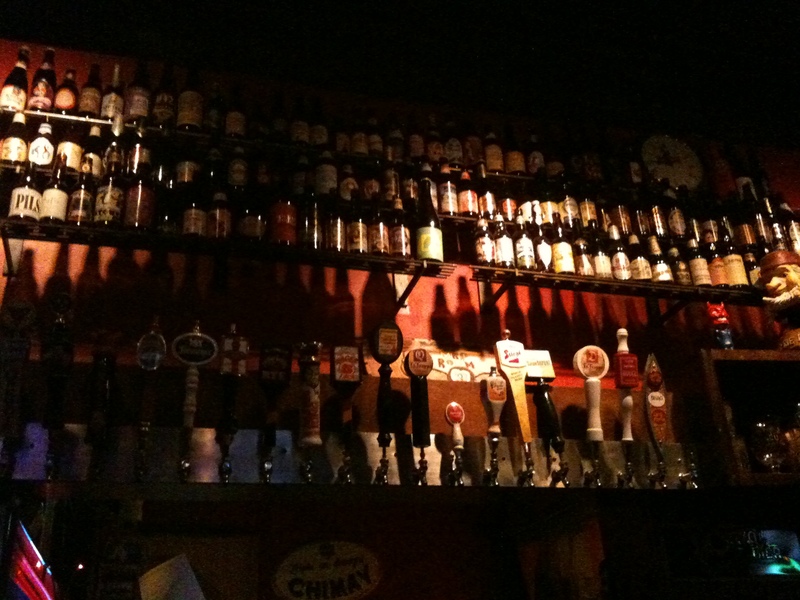 They didn’t have any of the lovely Belgian style beers on tap, and oddly enough, I’m able to get many of them back here. 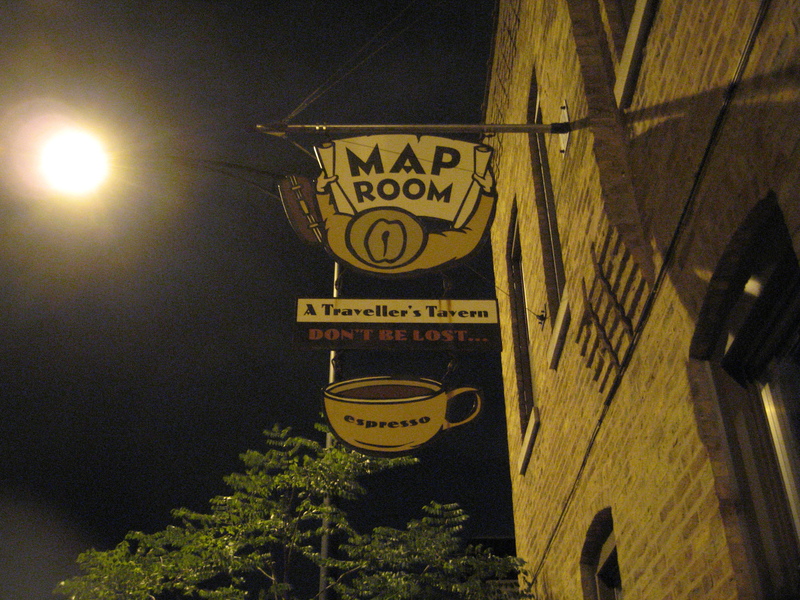 From here, I walked over to the Map Room, a place I’d heard plenty about back in my BA Beerfly days. I figured a geography & beer geek shouldn’t miss it. The place was raucous, though very comfortable. The walls were papered with old topos, lined with National Geographics, and there was even an Oregon license plate right where I was sitting. Combine that with the stellar rotating fans and the Three Floyd’s, and I was set. I started with an Alpha King, certain that the moniker was hyperbolic. It was surprisingly bitter and I actually took quite a while to nurse it. Next I had the Three Floyd’s Dreadnaught, something I’d sampled 5 years prior at a BA event. It was delicious, though not a masterpiece of subtly that I remember it. I was joined by a couple who also enjoyed their hoppy beers, and the combination of an outgoing Swede and a fellow Jay Ryan fan meant for some pleasant company. 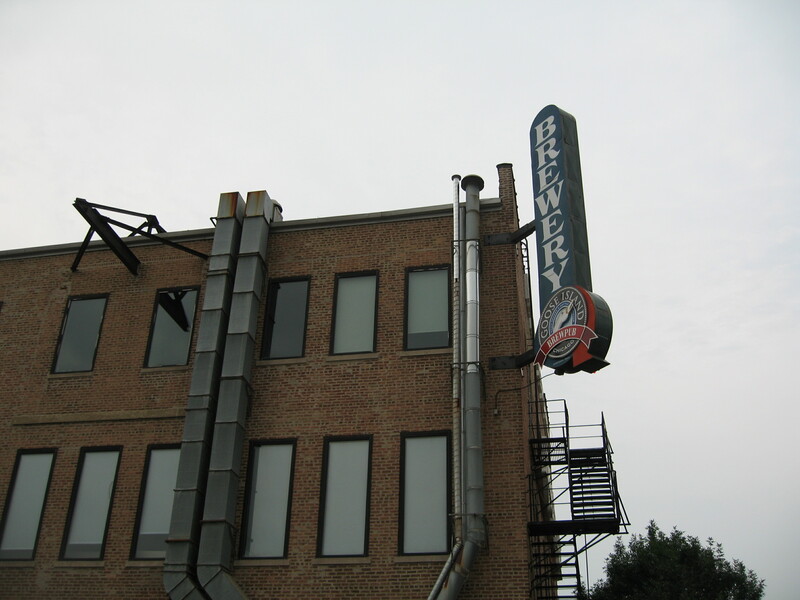 They recommended a place directly south that he though, at least, was among the best breweries in town. 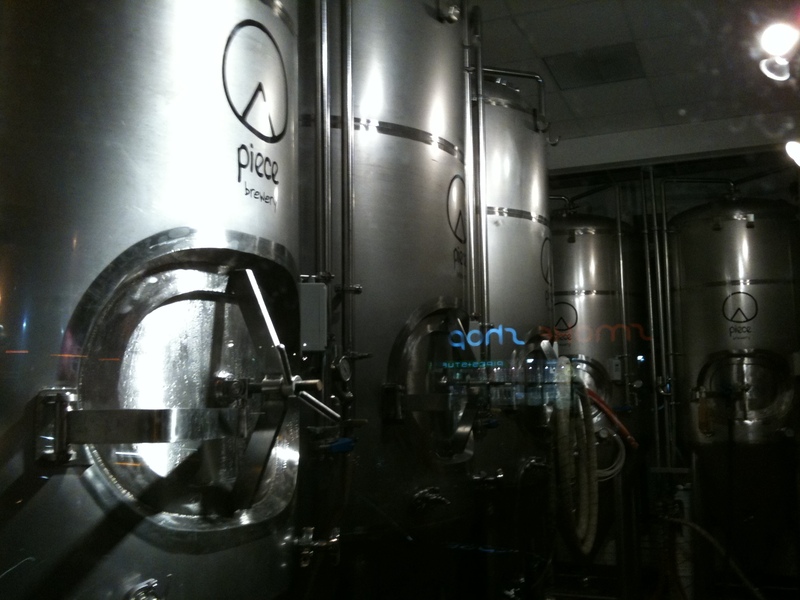 I walked south to Piece, the pizzeria slash brewpub and tried the dark beer though it was closing, and I had to get back. He’d also recommended I try some Metropolitan if I could find some, even in bottle if necessary. The next evening I had dinner with an old Yakima friend who picked a hipster vegetarian bike restaurant. As luck would have it, they had Metropolitan’s Copper on tap. It was absolutely delicious; Crisp, bright, and just a subtle sweet kiss from a crystal malt. Dinner was good too, and it was probably the best sandwich I had on the trip. I ventured back to Piece for the Cameltoe, which the couple from the night before had also recommended. It was a full bodied double IPA that was nearly on par with the Dreadnaught from the night before, just as the guy had promised. 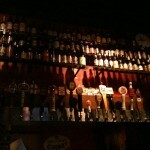 The last beer I had was another Domaine DuPage back at the hotel with my coworker that evening. It had been a full walk back but we weren’t quite ready for bed. So I sipped this lovely and simple beer while we compared notes from the conference. I’d taken a number of beers back to Chicago as thanks to several other admins and techs that had made my life a little easier this year, but didn’t bother to bring any Illinois beers back. It just didn’t seem worth the extra $20 for checked baggage, especially since I included the durable wrapping with the beers I brought. One bottle isn’t accounted for, and I’m not sure if it fell out of my bag in some conference room, or if house keeping found it. Suffice to say, I didn’t have to deal with it at the airport.